Nine years ago this summer we purchased our fifth wheel and set out on the first of our many RV journeys across the United States and Canada. During these nine years we have traveled to the west coast and back, crossed the Rocky Mountains and Continental divide several times, wandered around Florida, enjoyed campgrounds in our beautiful home state of Georgia, and made the ultimate RV journey to Alaska. We’ve visited National Parks, National Monuments, State Parks, tourist traps, historic sites and museums. We’ve seen the Atlantic Ocean, Pacific Ocean, most of the Great Lakes, many rivers, creeks, streams and lakes. We’ve enjoyed birdwatching, wildlife viewing, wildflowers blooming in every season, sunsets and sunrises. We’ve attended RV rallies, met many friendly and interesting people, and made new friends. In all, we’ve camped in 41 of our beautiful United States including Alaska. We discovered that there is something interesting to see and do no matter where you are. Here are a few of our most memorable experiences. We learned not to head north in early April because you never know when it might snow! 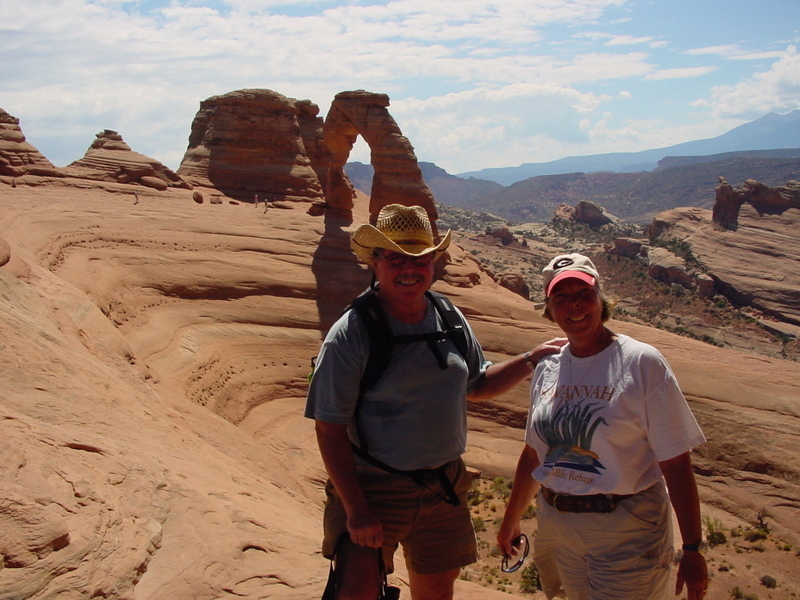 One very hot day in August we made the hike to Delicate Arch in Arches National Park, Utah. 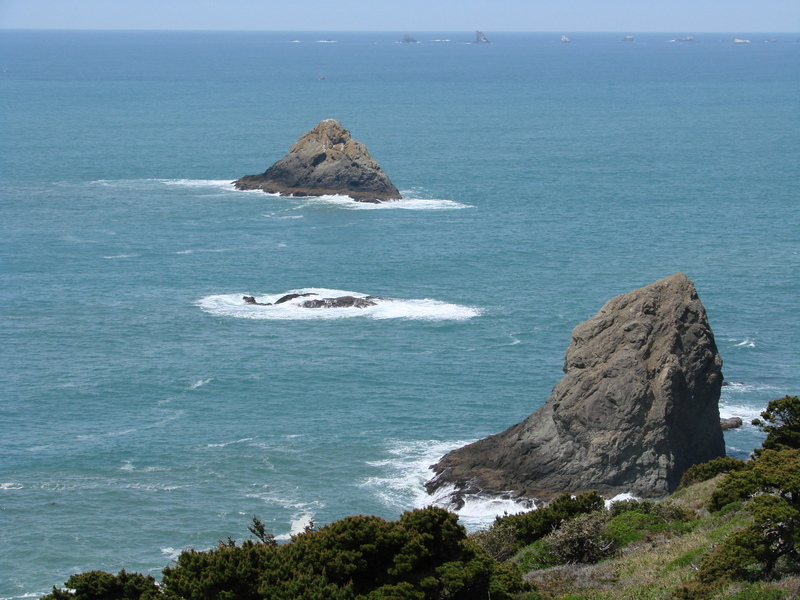 We enjoyed many magnificent views of the Pacific Ocean as we traveled south on the Pacific Coast Highway from Washington to California. 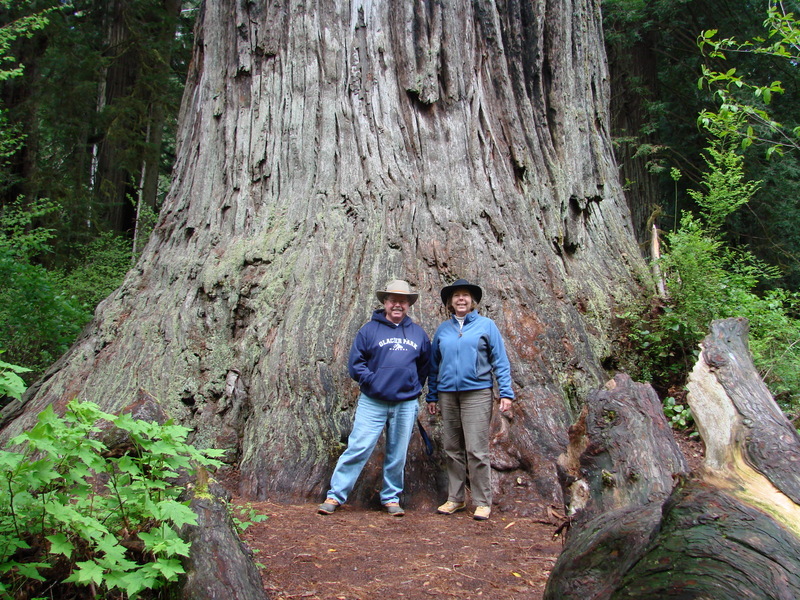 We felt small beside the Redwoods in California. 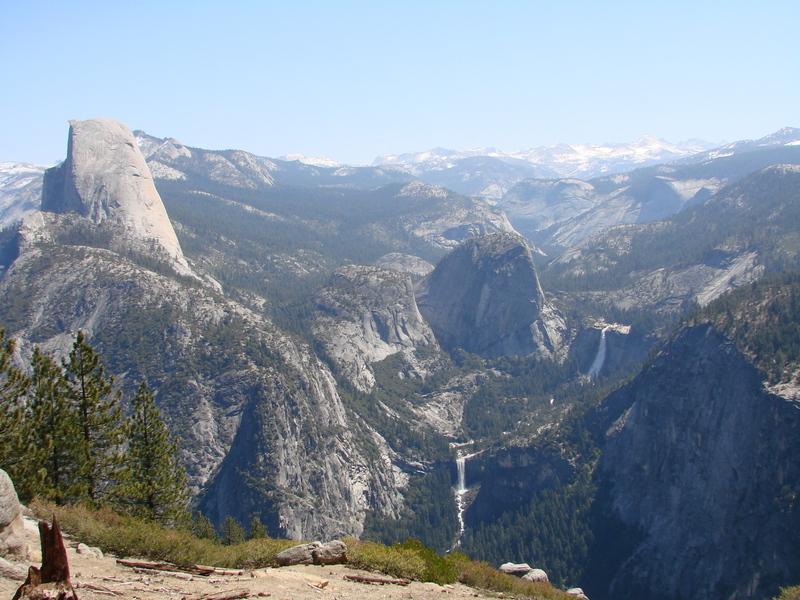 In Yosemite National Park, we took a drive on Glacier Point Road to the Washburn Overlook. 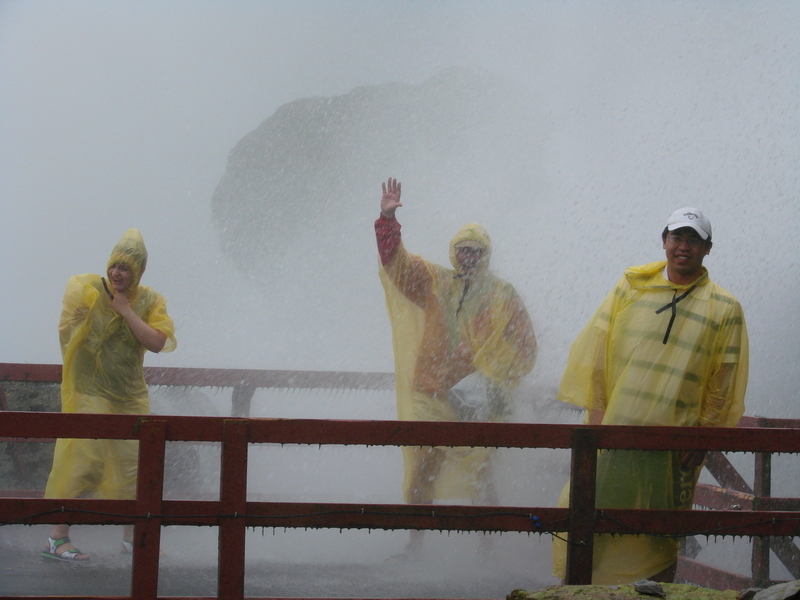 On the American side of Niagara Falls we took the Cave of the Winds tour and stood on the Hurricane Deck underneath Bridal Veil Falls. 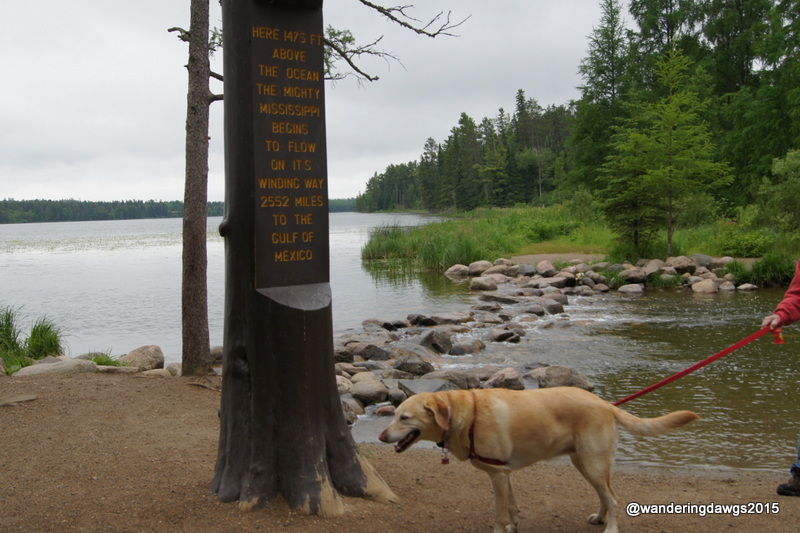 We visited the headwaters of the Mississippi River in Itasca State Park, Minnesota twice and walked across it once. 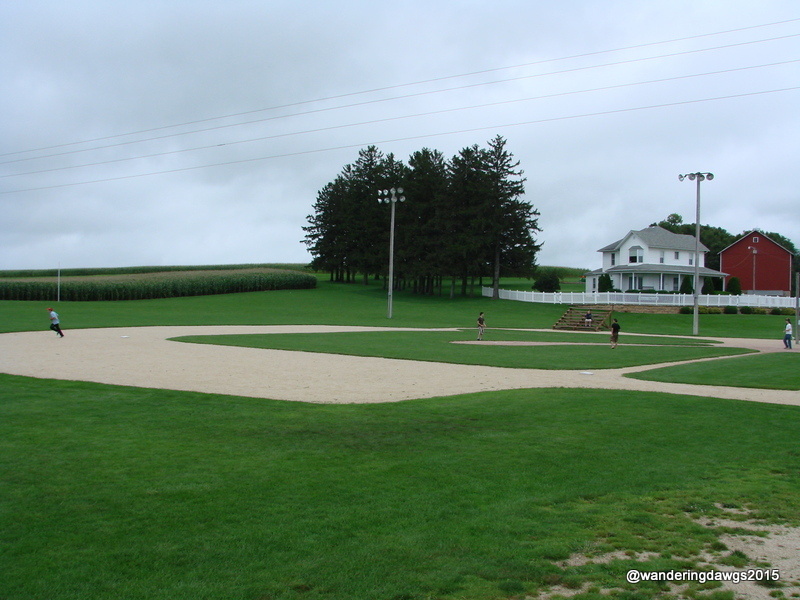 We enjoyed walking around the bases at the Field of Dreams Movie Site in Dyersville, Iowa. 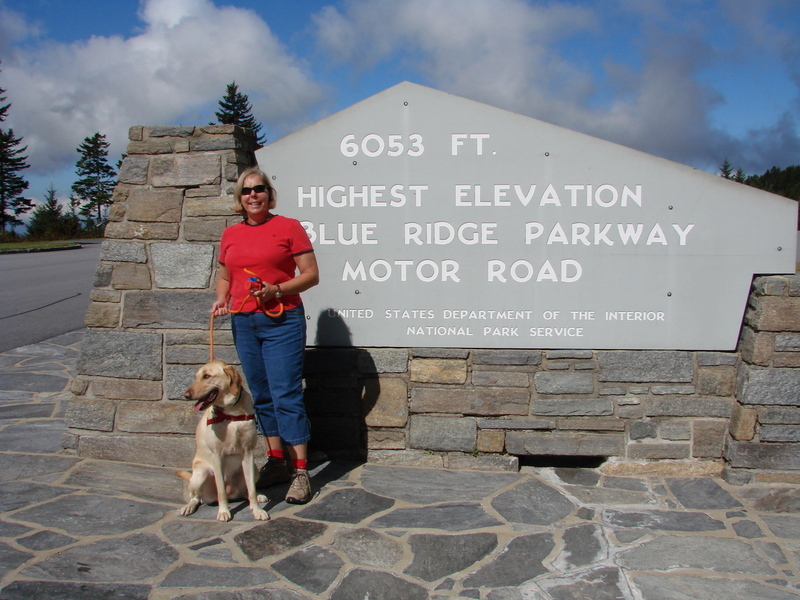 The highest point of the Blue Ridge Parkway was one of the highlights of our several visits to the parkway. 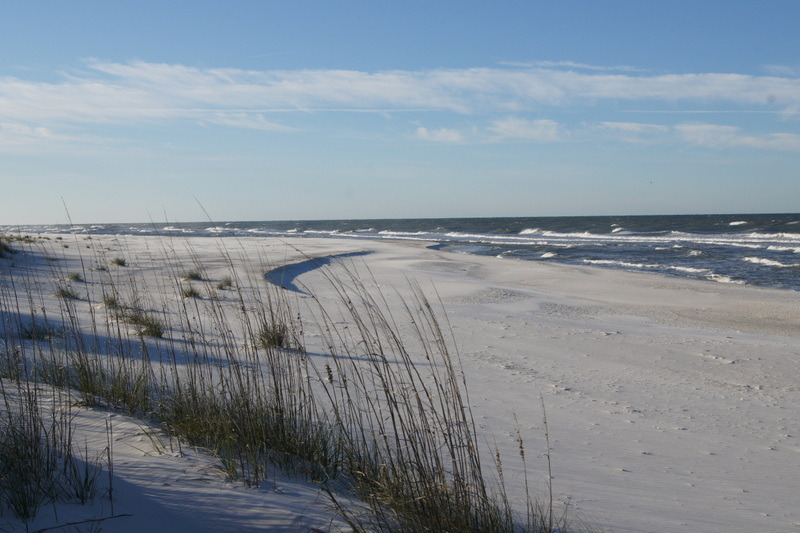 Being snowbirds in Florida is a great way to spend the winter. You can’t beat the views from some of our campsites. It’s been a wonderful nine years and we have so many great memories! Although our future trips will probably be closer to home we are looking forward to many more adventures. This was a great recap! What a great journey! Sure hope we hit most of the same great sites, although we did a few already! Congratulations on your one year anniversary! I’m sure you will discover many great places and have many memorable adventures! Happy trails! Judy, thank you for thinking about me! I’m having wonderful summer at home spending time with our grandkids, porch sitting, and even doing a little gardening. It’s really kind of a lazy summer and I’m loving it! All is good! Nine years…hope I can say that one day. What a collection of memories…so truly special. Enjoy them grandbabies! The years went by so fast it’s hard to believe it’s been so long. And yes, we are enjoying our grandbabies! What a wonderful overview of nine years of wandering!! I loved your recap. 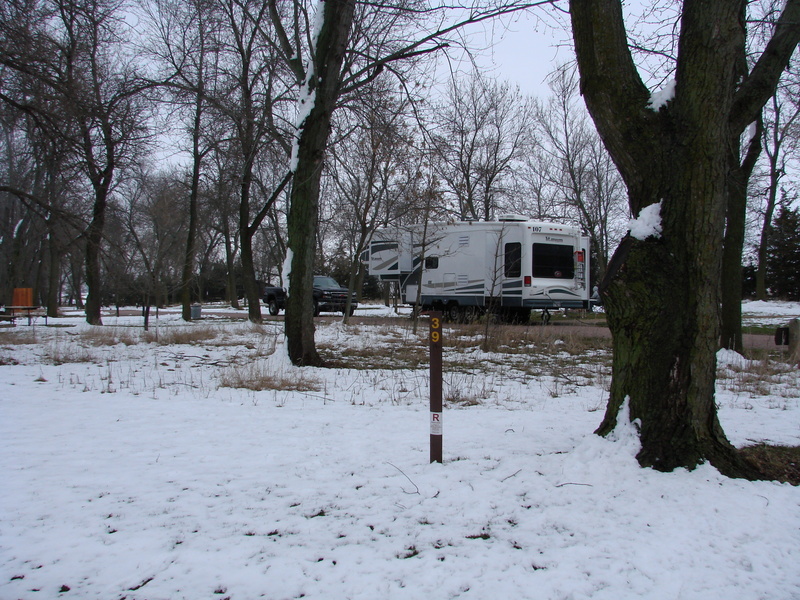 What a wonderful decade you guys have had RVing! And, I totally agree with your post. We are right behind you, having purchased our fifth wheel on October 20, almost nine years ago. It’s an awesome travel adventure with limitless possibilities. Thanks Holly! Congratulations on your nine years! I agree with you, traveling by RV is a great way to see the country. LuAnn, you are welcome! It really was like stepping back in time while I was working on this post. It was really hard to decide which memories to include. Congratulations on nine years of fun adventures, and wishing you many more years of happy wanderings! Laurel, Thank you! We hope to continue our adventures as long as we can! Ingrid, Thank you! We’ve been to so many amazing places I didn’t even know where to start. It was so much fun looking back through my pictures and journals to put this post together. Thanks! Yes, we are still enjoying our travels and will continue to travel as long as we can. We are “part timers” who return to our home in Georgia after our adventures. What a full and wonderful nine years you’ve had! We’ve had many great adventures! Congratulations and heres more to more adventures! Thank you! My favorite place is our home in coastal Georgia near Savannah. In fact, we are enjoying a wonderful summer at home right now. Trying to find an answer to your question of a favorite place we visited during our RV travels is hard. Our most memorable trip was to Alaska and my favorite place there was Haines. My favorite place close to home is Stephen C. Foster State Park in Fargo, Georgia. You’ve just given me an idea for another post! What a fantastic post — so many beautiful photos and great places! How long was your longest journey? When you set out, do you decide something like, “This time we’ll visit X….”? Or do you just start to drive?!? Keep the great posts coming!! Thank you! Our Alaska trip was the longest – about four months. Second longest was three months to the Pacific coast. And several trips of around two months. We usually have a main destination when we travel (visit family, attend a wedding, particular National Parks or other attractions). I end up with a list of places we would like to see and then figure out a route that will take us to them and our main destination. We always come back a different way. On long trips we rarely have reservations (except for must stay places). Our route is not set in stone and we often change our mind along the way. We rarely travel over 300 miles a day and like to stay at least two nights at each campground.